DreamHost is a web hosting service provider that focuses on sites for web designers, developers, bloggers, and online businesses. 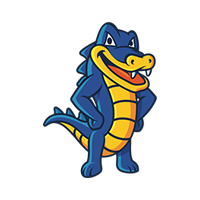 It provides users with unlimited bandwidth, one-click web apps installer, custom control panel, and more. In this article, we cover DreamHost reviews and pricing. Ready to get started? Sign up now. DreamHost is a Los Angeles-based web hosting service provider and domain name registrar. It is owned by New Dream Network, LLC and was founded in 1996. To date, it hosts over 1.5 million websites. It has also been rated the top hosting service for three consecutive years by PC Magazine. DreamHost offers several different types of web hosting services. Some of its main offerings include shared hosting, WordPress hosting, VPS hosting, dedicated hosting, and cloud hosting, as well as website building. It provides business organizations with practical features such as a custom dashboard, a one-click automatic web app install, unlimited storage and bandwidth, and free SSDs. The platform can be integrated with popular content management systems like WordPress, Joomla!, and Concrete5. It likewise supports online store hosting with its integration with WooCommerce. 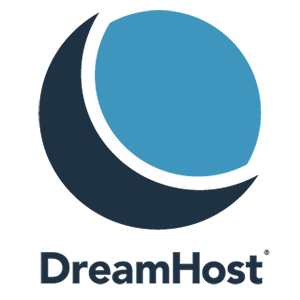 For users looking for added benefits of server robustness, caching, and memory, DreamHost offers a managed WordPress hosting solution called DreamPress. Users can mix and match it with shared, VPS, and dedicated hosting. DreamHost provides a 100% uptime guarantee across all its hosting plans. It boasts an in-house, U.S.-based technical support team that is available 24 hours a day, 365 days a year. Its team of security engineers, internally known as Nightmare Labs, ensures that customers’ information is kept private. The company also offers a 97-day money back guarantee for its shared hosting products. Users who gave DreamHost a positive review were impressed with its prompt and reliable customer support team. Many also liked its affordable pricing structure and the unlimited bandwidth feature. Other also mentioned that the dashboard is easy to navigate. 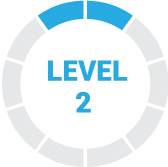 One user who gave DreamHost a positive review on G2 Crowd said that the platform is intuitive and easy to set up. She particularly likes that she can get unlimited domains with unlimited emails. She also mentioned that its pricing packages are economical. As of the date this article was written (March 13, 2019), there aren’t many negative DreamHost reviews online. However, some users complained about its limited VPS storage capacity. Others reported experiencing occasional technical glitches, particularly when using webmail. DreamHost pricing depends on three paid plans with several tiers each: Shared ($4.95 to $10.95 and higher per month), DreamPress ($19.95 to $79.95 per month), and VPS ($15 to $120 per month). The main differences between the tiers are the amount of RAM and storage allocation. With Shared Hosting, the server’s resources are shared with other users, while VPS Hosting provides dedicated server resources so that users can control how much RAM their server uses. DreamPress Hosting, on the other hand, is optimized for WordPress sites. Ready to get started with DreamHost? Sign up now. 6 Best Free Web Hosting Services 2019 – Free web hosting services give small businesses a free place to host and build their websites. We reviewed dozens of services to find the six best based on available bandwidth, storage, uptimes, if they display ads on your site, the ability to connect your own domain, and if their free plan includes email. How long after signing up can a user start building a website? If the account is automatically approved, the user may start uploading files within 30 minutes. If the account is not automatically approved, it will be manually reviewed by DreamHost. This usually takes about 24 hours, not including weekends or holidays. However, it will take a bit longer for a domain name to work online. New domain registrations generally take 24 to 72 hours to be viewable online due to DNS propagation. Can users transfer their existing domain name to DreamHost? Yes. Aside from web hosting, DreamHost also specializes in domains. The company allows users to transfer their current domain to DreamHost for free. Can users try any of the DreamHost plans before buying it? DreamHost does not offer a free trial. However, it offers a money-back guarantee for Shared Hosting (within 97 days) and DreamPress Hosting (within 30 days). Have you read these DreamHost reviews and are still not sure if it’s the right fit for you? Read our reviews of all top web hosting providers or check out one of these three DreamHost alternatives. Dreamhost is a wonderful hosting provider and domain registrar offering a wide variety of services such as shared web hosting, VPS, dedicated and WordPress hosting. They also hold and register domains as a registrar, cloud services and storage. But their bread and butter alongside domains is their shared web hosting, of which there are two kinds: shared starter and shared unlimited. We are on shared unlimited with a dedicated IP add-on. They also do support extremely well, mostly email and chat. They also offer phone call-back support for an extra fee. Prices work well if you keep add-ons and costs down. But they can add up real fast, especially if you’re using the VPS option. Sometimes their FTP protocols become flaky or downright go down in the infamous “FTP Fatal Call” error when you try to upload via FTP. Nothing really. We once used Yahoo! Small Business Hosting, but the costs did not justify their lack of options, features and flexibility. I shopped around for different hosting sites and I found a promo and was able to get unlimited hosting for all my websites for less than 5 dollars a month. I’ve had cheaper hosting but let me tell you I always had issues with them. GoDaddy for starters didn’t couldn’t fix my wordpress problem because they didn’t have the means to handle the updated wordpress. That was a bummer. Tried other misc ones too and so far been super happy with them here. I dislike the fact that you can’t talk directly to a person, you have to email them your problems. Instead of it taking minutes to walk through you have to go back and forth, they usually respond within 24 hours but still it can be annoying. Also sometimes the email service doesn’t work, so you will get blips of no service. What Dreamhost does really well is ignore requests for technical help, leave what little help they offer unfinished and miscommunicate. Offer actual technical help. Days will pass before they respond and often the responses are irrelevant to the issue for which you requated help. They charge you to talk to anyone too. What hosting company does that? None. Just Dreamhost. That they have terrible technical support, no customer support, that they charge to sleak with anyone, that the sites they host are very buggy. DreamHost does really well at making it super easy to manage a website using a wide variety of content management systems, from WordPress to Joomla to MediaWiki, through their one-click install process. When you install a CMS using this feature, they’ll even take care of installing updates for you automatically, which is very useful for keeping your website secure. DreamHost now supports LetsEncrypt SSL certificates out of the box, allowing you to set up HTTPS at no cost and without any technical expertise on encryption. The service will also renew your certificate automatically for you. DreamHost’s support is generally responsive, friendly, and eager to solve your problems. They offer live chat with their technical support team, which makes solving simple problems and getting quick answers a breeze. DreamHost allows you to manage everything you’d need for a simple website in one place–hosting, CMS install, domain, DNS, databases, email inboxes and forwarding, and security certificates. It can take some time getting familiar with the sheer volume of features available in the control panel. Expect to contact support on occasion just to figure out where you need to be to do what you need to do. Support is generally very competent and helpful; however, there was one instance when they caused an outage for my website because they deleted the wrong virtual machine. I feel like I knew everything I needed to know before purchasing. I’ve been very happy with their services and don’t regret choosing them for my virtual private hosting.